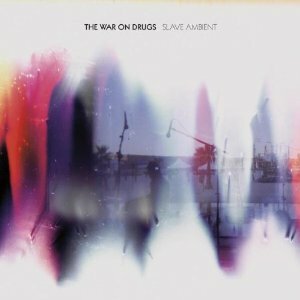 The War On Drugs – Slave Ambient | NoCoda. Henry Ford is quoted as saying “If I had asked people what they wanted, they would have said faster horses.” They didn’t know they wanted a car – they just wanted to improve the mode of transportation that they already had. Henry Ford was a visionary. He saw a product that would change the future – something that people couldn’t even imagine that they actually wanted, or could even exist. Have you ever wondered what it would sound like if Tom Petty and the Heartbreakers started a indie rock shoegaze band? Yeah, me neither. It doesn’t sound all that appealing. But yes, that’s who The War On Drugs are. They’re Tom Petty shoegazing on the radio. I have zero desire to smoke Marijuana, but I guarantee that Mr. Petty would gladly go back on his promise and give Mary Jane one last dance if he heard I Was There, track number three on this promising album from a band that certainly should be going places. Henry Ford certainly was a stretch; these guys arn’t that visionary. But hey, I think Tom Petty shoegazing is a pretty accurate description, and if you can think of another band that may fit that bill, let me know – because I got nothing. As I said, this isn’t a hard record to listen to, but at the same time, it’s a hard one to wrap your heard around. Hear that steady drum progression on Your Love Is Calling My Name? You’re gonna hear that same drum beat on more than half of these tracks – that exact same one! – but for some reason, the songs don’t blend together that much. Maybe they’re slipping us some audio cannabis through our speakers, because this band know’s what they’re doing. They have this indie, kinda folky, shoegaze thing going on that sounds familiar enough throughout the whole thing, but also unique enough that they can keep using the same patters over and over, and still make it sound fresh each time! It’s not hard to listen to, but it’s far from any sort of verse/chorus/repeat structure. Geez, choruses? What choruses? Could you really sing along to any of this stuff? How in the world can this be easy to listen to, and dare I say even catchy, if the record is almost void of what could be called proper choruses? I’m at a loss. If you’re kinda confused, don’t worry. So am I. But I really think you’re going to dig this; I really do! In our ADD society, who has time to stop and actually listen? Who has time to stop and appreciate those slight ice sickle keyboard drops on It’s Your Destiny? What about that beautiful guitar work that seems change with every freaking measure on Black Water Falls? I know it’s hard to stop. I know it’s hard to slow down. Believe me, I’m the same way. I like to go, go, go. But take a break. Pour yourself a drink. Sit down and listen to this.